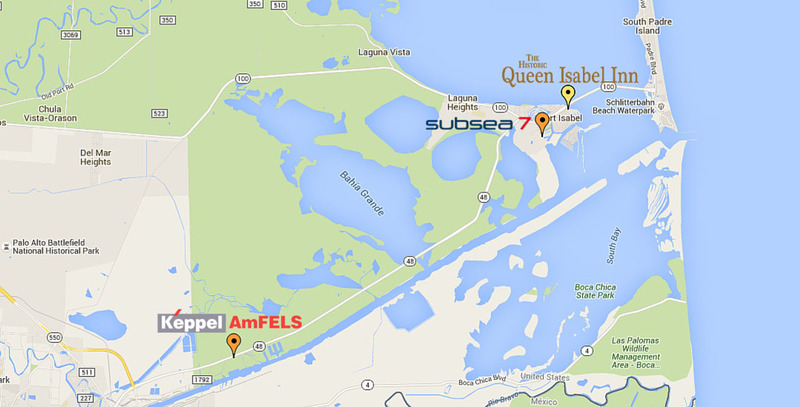 “The Queen” is located in Port Isabel, Texas on and overlooking the Laguna Madre Bay and South Padre Island. The Inn is centrally located within walking distance of the Port Isabel Lighthouse, the Port Isabel Historical Museum, the Fishing Pier, fishing charters, restaurants and shops. Our location two blocks from the Queen Isabella Causeway provides our guests with a quick access to South Padre Island beaches and attractions. Other Valley points of interest such as historic sites, nature preserves, golf courses, the Gladys porter Zoo and Matamoros, Mexico are just minutes away! Several airlines serve the Brownsville/South Padre Island and Harlingen (Rio Grande Valley) airports from Dallas/Fort Worth and Houston. We recommend air travel and car rental for short stay visitors.